since terms like “liberal” or “conservative” don’t necessarily mean the same thing in every country, we’ve switched to a global listing of national political parties. 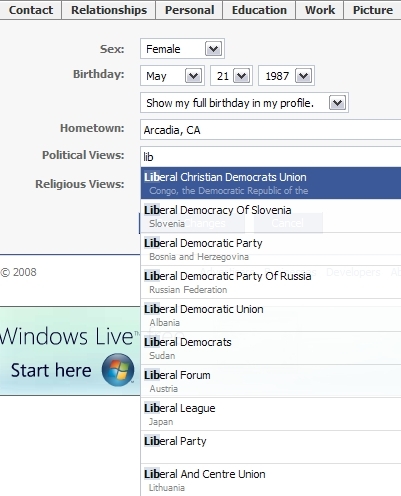 So if you’ve always wanted to declare your affiliation with the Liberal and Centre Union of Lithuania, you can! Of course, the new system also has its pitfalls. First, the party-based system leaves out people who identify as liberal or conservative or even center and who don’t align themselves to specific parties. But oh wait! Facebook’s got your back. 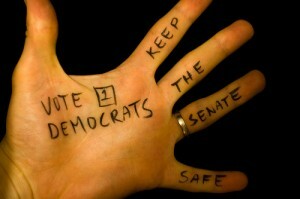 You can now write in your political affiliations. For Berkeley, that’s opening a whole other can of worms. We won’t even feign surprise over a “Soy Products” political leaning.